The snow is finally melting here in Fairbanks. That means two things: all the water is going to lead to mosquito season and to find temporary relief from those mosquitos, people will run 5Ks. From here until snow is back to stay (early October), there will be a 5 or 10K race every weekend. Whether you pay to enter the race to “Beat Beethoven” to raise money for the Fairbanks Symphony Orchestra, or the “Run From the Cops” that benefits the local police, you have a multitude of ways to test your mitochondria. What is the difference between young kids who never seem to tire and the elderly? 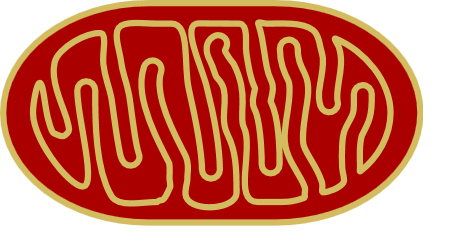 One diffence is the age and condition of the person’s mitochondria. Mitochondria are the organelles in each cell that help create energy. Mitochondria have been implicated as a key part of aging since they get damaged and function less efficiently as we get older. Yet there are some promising supplements that may reverse or prevent mitochondrial decay. Resveratrol- Found in red wine, it’s been in the spotlight for about a decade. It appears to cause a cell to function more efficiently and repair cell damage more readily. It also seems to prevent cancer, brain function decline and heart disease. Yet as a supplement it appears to be less likely to end up in our systems when it is digested. Pterostilbene- Found in grapes and blueberries, it appears to enter the bloodstream four times more than resveratrol. It seems to prevent the same age-related conditions as Resveratrol, but it’s thought to be more potent. Nicotinamide Riboside-NR- Found in trace amounts in milk, is thought to boost the function of the enzymes called Sirtuins. Among other things, Sirtuins make sure the signals from the cell’s nuclei to the mitochondria get through. When NR levels drop with age, mitochondria start to decline. Could one or more of these substances combine to create an anti-aging pill? Researchers say it is possible, but it is important to note that there are no, or very few, human trials on these substances. Some are currently available in supplements, but are they worth taking if they are unproven? One of my nurse friends is fond of saying “Americans have the most expensive pee,” because we take tons of supplements and we can’t always absorb all the nutrients. If we start taking “youth pills” they are bound to be expensive, so we’d better make sure they actually enter our cells where they are needed. If all else fails, I’ve heard excerize is also a good way to stay healthy, so pull out the running shoes, even if your mitochondria are a little old.